Managing a job search on your own can be tough. Especially if you are currently employed. Question: Who has 40 hours a week to dedicate towards job searching? It’s no wonder so many people are asking about a professionally managed job search solution. Well today, you are in luck. In 2018, we are fortunate to have a professionally managed job search firm with a 100% track record of success. Finally, you have the choice to outsource your job search and pay someone to find you a job. What is a Professionally Managed Job Search Firm? Not to be confused with a headhunter or recruiter, a professionally managed job search firm is very different. In short, headhunters and recruiters are compensated by the hiring company. They are paid either a flat fee or percentage of the job seekers salary. Job search firms are the exact opposite. Rather than being compensated by the hiring company, these firms are compensated by the job seeker in order to conduct a job search on their behalf. As a job seeker, you may be leaning towards the free option. But wait a second, there are other factors to consider. A professionally managed job search firm can save you upwards of 20+ hours/week. A professionally managed job search firm is not limited to the companies they market you to. A professionally managed job search firm can help you negotiate a much higher salary. A professionally managed job search firm is less intimidating to hiring companies, marketing you as a free referral with no strings attached. A professionally managed job search firm can streamline your job search by 3 months on average. While the word “free” sounds tempting, cheaper is not always better. Find My Profession is the undisputed #1 top-ranked job search firm in the United States. With a focus on six-figure earners, Find My Profession offers a great value with a huge upside. 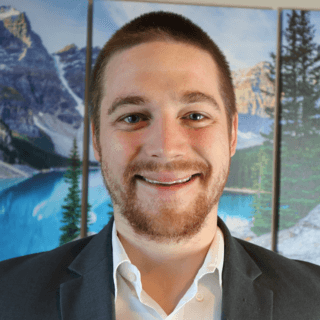 After speaking with Mike Podesto, CEO & Founder of Find My Profession, we got the inside scoop on the timeline, cost, and success rate for their managed job search service. Short Answer: $7,000 - $15,000. The cost to outsource your job search may seem like a great investment or a horrible waste of money. This all depends on how you value your time. A typical managed job search for six-figure+ earners will range anywhere from $7,000 - $15,000, depending on the position you are looking for. As you probably know, job searching takes time. According to The Balance Careers, (the #1 ranked article on Google for the phrase: “how long does it take to find a job”), you can expect to spend 1-month searching for every $10,000 you will make. So, if you are making $150,000 per year, you should expect to spend about 15 months searching for a job. After interviewing Mike Podesto, I learned that the average time spent searching for a job before one of his clients gets hired is about 3-6 months. His client’s total earnings can range anywhere from $100,000 - $1,000,000 per year. Short Answer: 100% Success Rate. While I can’t speak for every company out there, I can speak for Find My Profession. Since 2016, Find My Profession has successfully placed over 100 senior-level professionals into their dream jobs. I almost didn’t believe it when I was told that they have had a 100% success rate. The secret is in their strategic selection of new clients. While they commit to working with each client for up to 1-year, they purposefully choose clients that they are confident they can get hired in under 6-months. Their in-depth screening process allows both the company and client to feel comfortable moving forward with the professionally managed job search. Do You Need a Professionally Managed Job Search? A professionally managed job search is not for everybody. If you aren’t currently making six-figures, you may not need the extra assistance a job search firm can provide. Read this to find out if it makes sense for you to pay for a job. However, if you are making $100,000+, and you have ever wondered, “Why can’t I just pay someone to find me a job?”, your prayers have been answered. Schedule a free consultation with Find My Profession to learn more about the #1 professionally managed job search service in 2018.